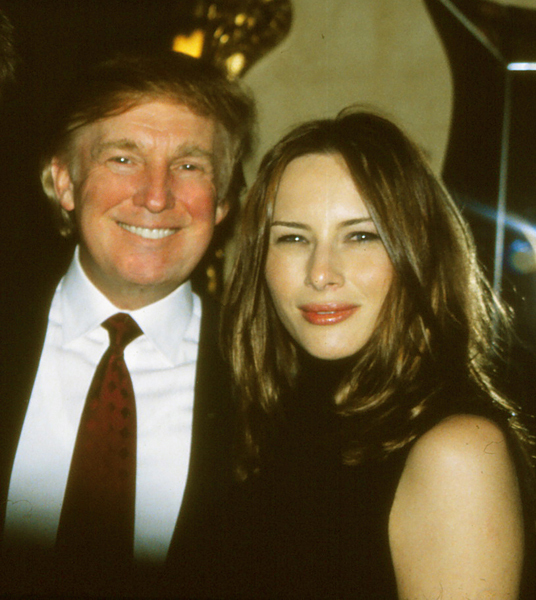 Home » Posts Tagged "Marla"
I took this photo of Donald and Malania Trump some years ago (before the blonde/orange/peach/grey hair shenanigans) at an After Party for a movie premiere, which took place at the Warren-Tricomi salon, a great space they had then on W. 57 Street. Ivana, a La Coupe model in the 70s (also later) invited me to their wedding in the late ’70s (I didn’t go!) Ivana later introduced him to my husband and I in the Lobby at intermission of a Broadway show. I have photos of Ivana as a model on stage at La Coupe’s famous “Teach-In” in 1976, and took photos of daughter Ivanka taken backstage during her modeling career. (Must find, scan and post them, stay tuned … ) We met Marla the Georgia Peach and daughter Tiffany in a coffee shop recently (husband had a nice little conversation) – should have taken photos. No, I am not a fan of Donald the Presidential Candidate on top of all polls right now, but I did find he was very nice to me, as were his wives and daughter.